The 2018 World Cup is now upon us, and this year, it’s being held in Russia. 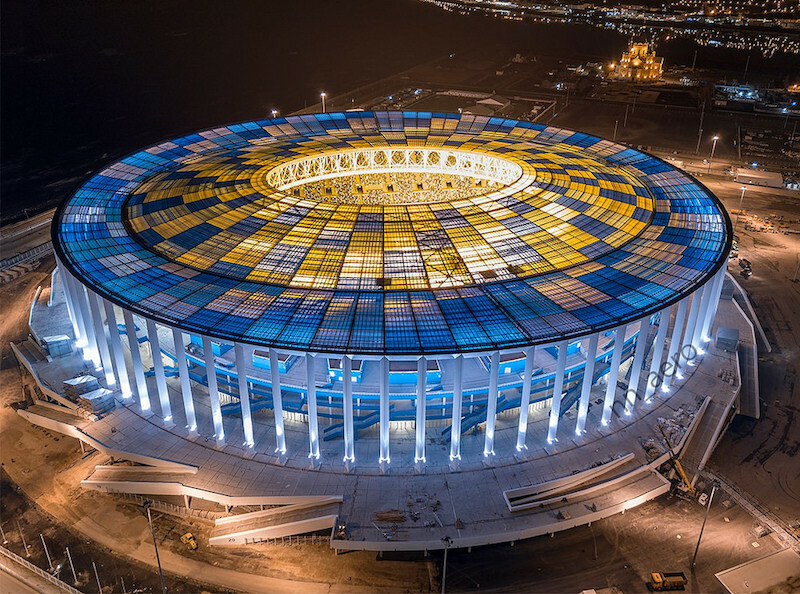 Much like the Olympic Games, the World Cup is viewed as a chance for the host nation to capture the world’s attention with their stadiums, players’ villages, and opening and closing ceremonies, and this year’s extravaganza is no different — especially considering Russia’s idiosyncratic architecture and design. Yes, Russian design is over-the-top in everything from presidential palaces to metro stations, overtly expressive of their status as one of the world’s superpowers. 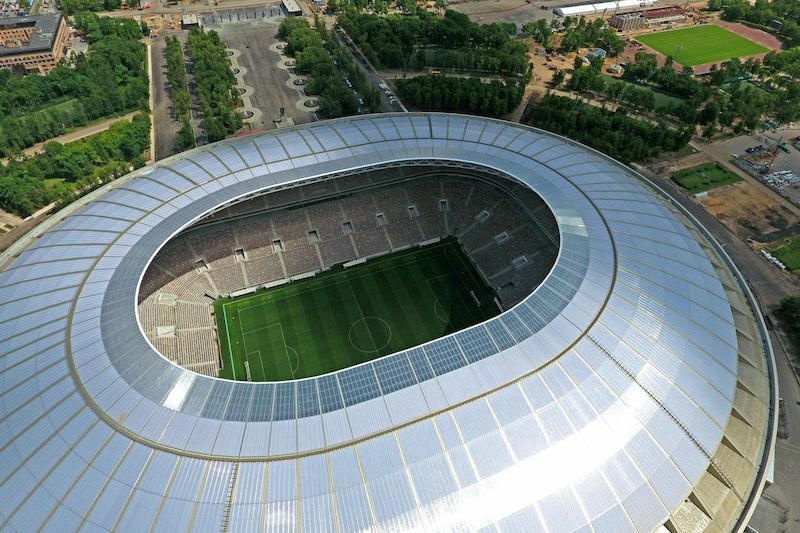 Below, you’ll find a few of this tournament’s most interesting stadiums. Of the 12 stadiums that the 2018 World Cup will take place in, only a few of them were specifically built for the tournament. 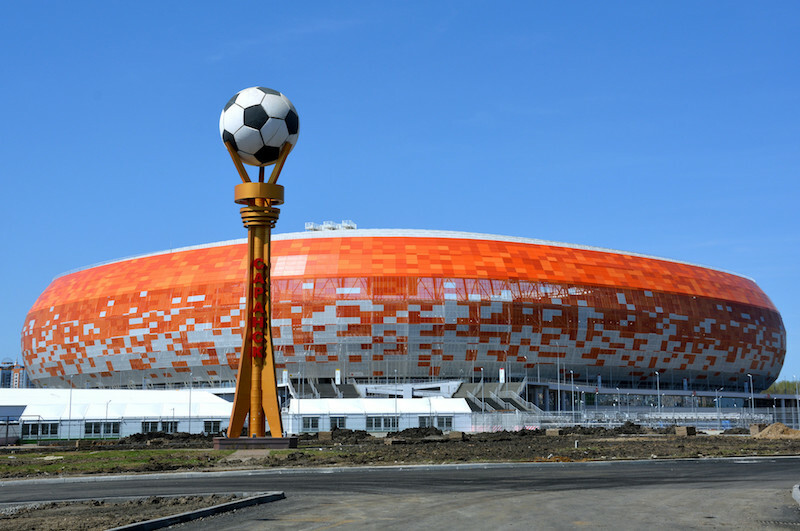 The Nizhny Novgorod Stadium in Nizhny Novgorod is one such stadium, taking three years to build from start to finish. With a capacity of nearly 45,000, this stadium was designed under the influence of the area’s dominating natural elements, water and wind, which is why the main colors of the venue are blue and white. The stadium also has a collonade along its perimeter, and it will be used as a concert and performance venue after the competition is over. It will also be home to the Olimpyiets football team. This oval stadium is easily recognizable thanks to its brightly colored exterior, which boasts a dappled facade of red, orange, and white pixelated tiles. Located on the banks of the Isnar River, its construction began in 2010 (the 1000th anniversary of the unification of the Mordovian people with other ethnic groups in the region). Currently, the stadium’s capacity is almost 42,000, but following the games, the capacity will be reduced to just 25,000, a process which will involve the demolition of some ancillary seating. The different colors used in the cladding are meant to represent different arts and crafts from Mordovia. This cosmic arena harks back to Russia’s “space race” with the United States, having been designed with the cosmos specifically in mind. Taking the form of a spaceship, the Samsara Arena is an homage to Russia’s achievements in the aerospace industry, and its dominating feature is a silvery domed roof that covers the entire structure, supported by complex metal frames and trusses on the ground. This historic stadium was built in 1956 to host Russia’s first summer Spartakiad. It also hosted the 1980 Summer Olympics and many other global competitions, and it will be the main stadium for the 2018 World Cup. Luzhniki is home to the Russian national football team and will be the venue for the World Cup Final on July 15th. It has been undergoing extensive renovations for the past four years. The original facade has been retained, but almost all of the interior has been replaced and reorganized, not to mention the fact that the stadium’s capacity has also increased. 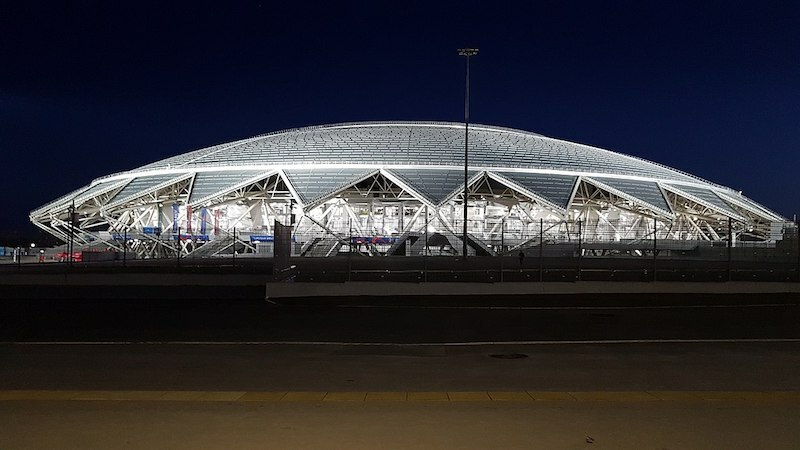 Built for the Winter Olympics in 2014, the Fisht Stadium in Sochi is named after a local mountain, which itself is reflected in the design of the venue, whose silhouette resembles a snow-capped peak. 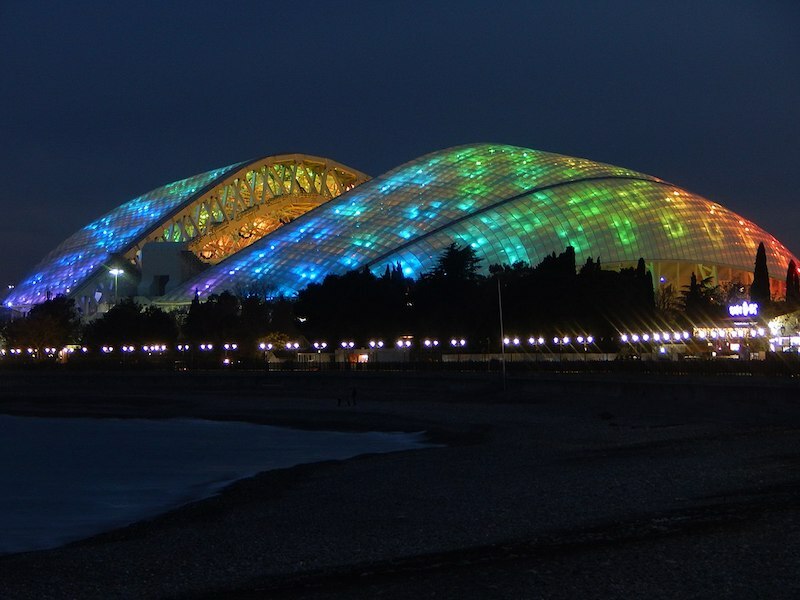 The stadium was extensively remodeled to accommodate the World Cup, and at night, its translucent skin lights up with a colorful light show.